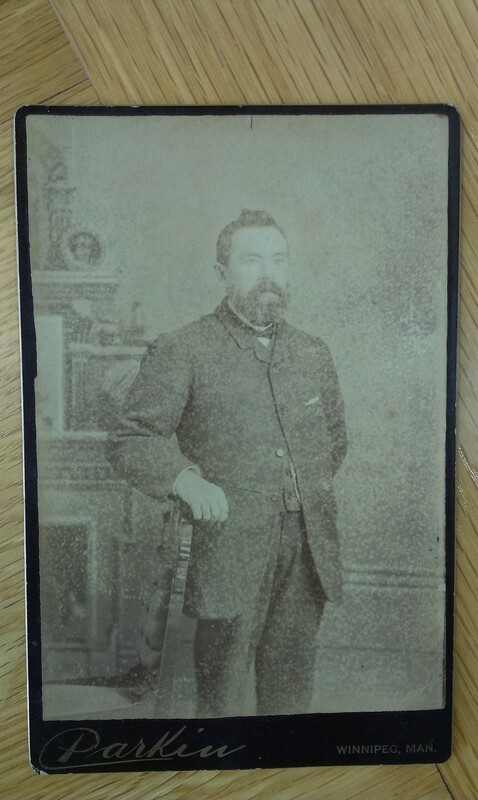 Photo must be after Margret's 1st husband died, must be c.late 1870s. 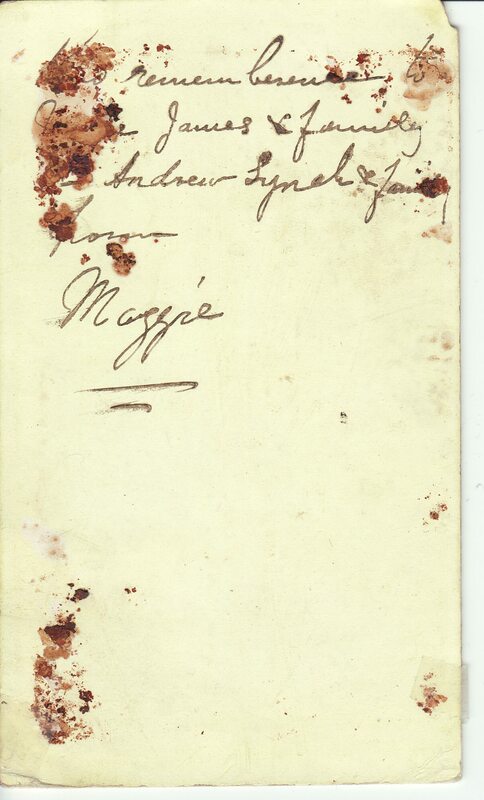 The back is from "Maggie" to "Uncle James". born Dec 24, 1841 in Co.Tipperary, Catholic. She mar 1stly, c.1860, in Ireland, to John Hennessy [or poss. Hennessey]. 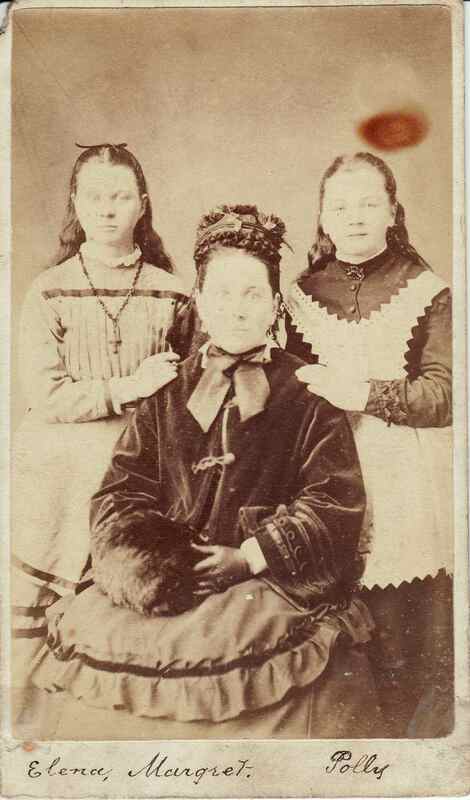 She is thought to have remained in Ireland while her parents went to North America in 1868. Her husband must have died. She went to North America with the two girls. She mar 2ndly, 10 Nov 1880 [her age 38, him age 50], St.Peter's RC Church, London, Ontario, to John Crotty [born 24 Aug 1830, think Ireland]. He was Catholic. It was his 2nd mar too. He had a number of children by his 1st mar. Think he was living Bothwell, Ontario, at mar, think NOT born there. In [1881 census, Canada] they are living in Bothwell, Ontario, he is listed as "merchant". They must have moved to Walkerville, Ontario, before 1896, since Polly was living there at her mar. In [1901 census, Canada] they are living in Walkerville, Ontario. In [1911 census, Canada] Margret is widow, living with dau Polly at 729 Queens Ave, London, Ontario. not found in 1881 census, perhaps died. 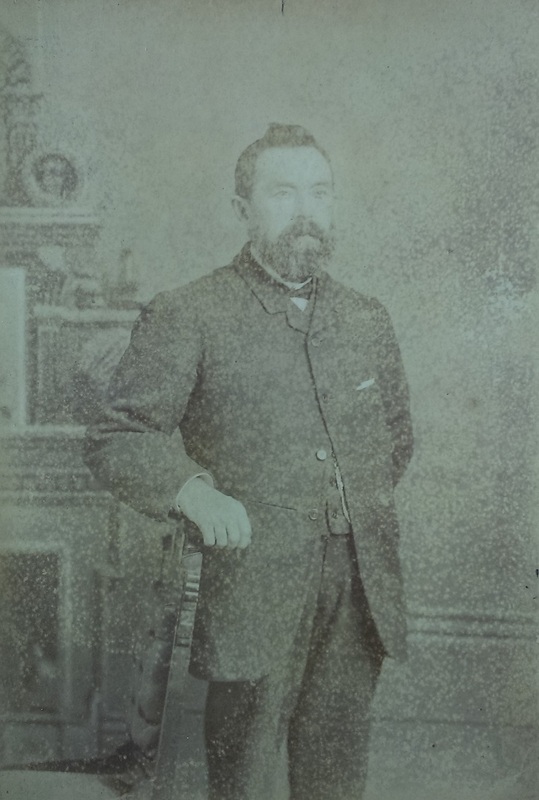 This must be John Crotty, c.1880s. 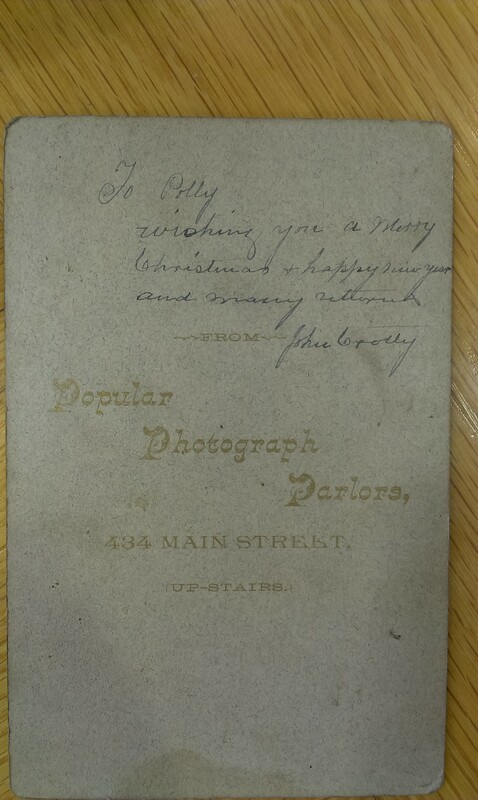 John Crotty signs the back, addressed to his step-dau Polly. Photo taken in Winnipeg, Manitoba, Canada. From [P40/909]. Used with permission of [UL Archives].